Anyway, so I went to see As You Like It last weekend, and then Jodie Whittaker happened. This is going to turn into a long and rambling one, I’m afraid, very little of which will be about Shakespeare, but quite a bit about sci-fi, gender, the art of debate, the creative process and my other projects. Basically, I’m going to treat my blog like a blog. Bold, I know. So, let’s start at the top, it’s the first Zounds in, ooh, ages. There were a couple of characters I thought about approaching this with, but Rosalind pulled ahead with the clearest complete idea, so as a reward, she gets to appear in a dress for the first time. Every time I do an As You Like It cartoon, I always say there probably won’t be many of these, but there’s quite a few now. I think its definitely earned its own slot on the archive page. Celia is a welcome new arrival, making her first proper appearance outside of a background cameo. I basically designed her to contrast Rosalind. The text of As You Like It dictated that she needed to be noticeably shorter, and since Rosalind is established as a very thin character it made sense to go with a more rounded figure. The curls were a last minute decision, but I’m really happy with her overall look. Her fear of new things makes her an interesting addition to team Mandrag. As the only character who ever really criticises Rosalind’s fun and games, she was the character best suited to go into Twitter meltdown. Touchstone loves a good bearded lady gag, so he’s probably cool with things. 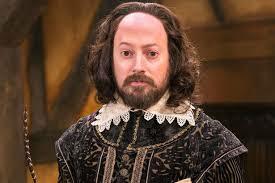 Incidentally, one of my favourite Shakespeare factoids is that Touchstone’s references to the girls’ beards may have been an early example of a meta gag. Touchstone is drawing attention to the fact that Rosalind and Celia would have been played by men back in the day, as if he’s aware he’s a character in a play. He’s basically Tudor Deadpool. I suppose if I have one misgiving, it’s that if I were to choose a popular male hero to turn into a woman (and we may as well do a couple, there’s loads we hardly play with any more), I probably wouldn’t go for one of the rare non-violent ones. I was very struck by Naomi Alderman’s thoughts on the creation of a feminist utopia, in which she stresses the need for boys to grow up learning to respect empathy and creative problem solving, rather than the use of force. The Doctor as a male hero who embodies these traits strikes me as a very useful role model. Ironically, a female Doctor may shatter some destructive gender concepts while reinforcing others – that thinking and feeling are for girls and men solve problems with their fists. That said, too often, a drawback is seen as a reason not to do something. The middle ground between ignoring a potential obstacle and using it as an excuse to do nothing feels like an endangered species sometimes. Usually, such things are merely a bump in the road that creative problem solving (there it is again) can fix. In this case, there’s a solution right there in the format of the show – how often have we seen the companion function as the conscience of the story? A male companion with the stereotypical female role of caring about the little people would allow the show to have its cake and eat it. Basically, we need Rory, but with less Hitler punching. OK, there can be a modicum of Hitler punching. The news did, however, give me a more personal cause for concern. The reason Zounds has fallen by the wayside a bit this year is that I am currently working on a fantasy novel. More specifically, a supernatural fantasy novel with a female protagonist set in modern-day Yorkshire. Yorkshire being where Jodie Whittaker hails from. You can probably see where this is going. Now, I wouldn’t be as nervous if Whittaker hailed from anywhere else on Earth. (Although, I’m an artist. Anxiety is the food of love.) But the tremendously specific field of Yorkshire superheroines expanding from my novel-in-progress to my novel-in-progress and a BBC marketing behemoth was a bit of a shock. And I think my reaction does demonstrate a reason why the paucity of female heroes in pop culture is a problem. Nobody would suggest that since Superman exists, there is no need for Batman. (For the obvious reason that he’s Batman.) But female heroes are so rare, that Whittaker’s Doctor feels like a big fish in a small pond that I was happily swimming in. 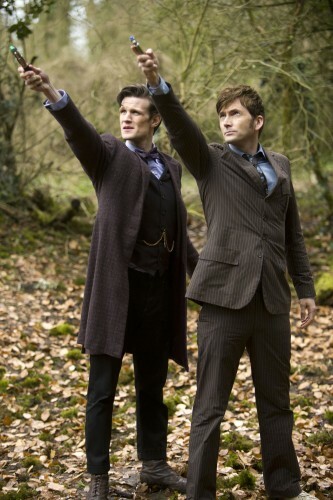 But getting back to my “Oh my God, I’m going to be competing with the Doctor!” panic. At the end of the day, there’s always going to be someone ploughing similar furrows to you. I remember reading Mya Gosling’s fantastic Peace, Good Tickle Brain in the early days of Zounds, and wondering if I had anything to offer the niche field of Shakespeare-inspired webcomics. But the answer will always be that of course you do, as long as you bring something that’s yours to the table. You might end up nervously comparing your work to others or turn into a pushy showbiz parent resenting anything that dares to tread on your turf. But It’s not your turf. It’s everyone’s turf, and you just have to play on it as best you can. And accept that some people will have more expensive boots. But ultimately, a creative work is your baby, it can feel like the most important thing in the world, and you want it to shine. And while I may not get to be Miss Yorkshire in the superheroine pageant, I still intend to find my creation an audience who will love it. As esteemed bloke-shaped creator of female heroes Joss Whedon put it, nobody creates fiction to make something people like. It’s only to make something people love. I’m a writer. Shamelessness is the food of love. This entry was posted in Uncategorized and tagged As You Like It, Batman, Celia, Doctor Who, Jodie Whittaker, Novel writing, Rosalind, Touchstone. Bookmark the permalink.